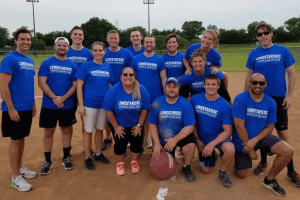 It was another hot week out at our Gateway Park, Thursday night kickball league. The sun was up, and so was the excitement of each team. The highlight of the night goes toThe Capitals who definitely showed who was in charge this week. They managed to hold Ballsagna to a no score game, putting out their best defense they’ve played all season long. The Capitals added another win to their books…will they do it again next week?